But on the other hand, Jews put their faith in clothing all the time. Back when the Temple had four walls, the kohanim (priests) wore special clothes. When Jacob wanted to express love for his son, Joseph, he made a special shirt, and all of Joseph’s brothers were so angry they decided to sell him. And when Jacob’s father, Isaac, was getting old and wanted to give Esau a blessing, Jacob’s mother, Rebecca, gave Jacob special clothes to fool his father into blessing him instead, while Esau was off trying to figure out how to hunt wild game with a kosher butcher’s knife. And we specifically wear certain clothes for certain rituals – the tallit (prayer shawl), tefillin, a yarmulke, a white kittel on Passover so we have something on which to spill our wine, and sneakers with our suits on Yom Kippur in case we want to go jogging later. So it’s not like we don’t place any value on clothes. So how are we to reconcile this? The case of Jacob seems pretty peculiar, though. Jacob was wearing Esau’s clothes to fool his father, but his father was blind. So who was he trying to fool? It has been said that the clothes make the man, but that seems like a pretty shallow way to assess a person’s capacities. On the other hand, people do tend to think, behave, and even feel differently depending on what they’re wearing. If you’re in a tuxedo going to a $500 a plate fund-raiser, you may behave differently than if you are dressed in a ragged t-shirt and swimming trunks going to your neighbor’s pool party. I would have passed on any sort of commentary on Mr. Papers’ (not his real name) Iron Man 3 review if Pastor Randy hadn’t mentioned Ephesians 6 during his sermon last Sunday. It’s seemed like an odd coincidence, especially since Pastor’s message didn’t breathe one word about Tony Stark’s latest adventure on the big screen. Papers drills down into the “clothes make the man” saying during his review, reminding us (spoilers ahead) that Stark (played by Robert Downey Jr) spends as much or more of his time in the film out of his Iron Man armor than in it. There are also sequences in his film where the armor is operated without anyone inside. What do we do with the “clothes” metaphor then? Stark isn’t just Iron Man when he’s in the suit, he’s Iron Man because that’s part of who he is…not as an inventor and not as a person who gets powers from technology, but because it is part of his lived identity. It didn’t start out that way. Stark, at the beginning of the original film, was a brilliant but wholly self-indulgent person who did whatever pleased him and was totally unconcerned about the consequences of his actions…until he realized that those consequences included the deaths of millions on a global scale, thanks to the black market sales of his weapons. It was Iron Man who molded the soul of Tony Stark, gradually forming him into a hero from the heart outward as opposed to from the armor inward. 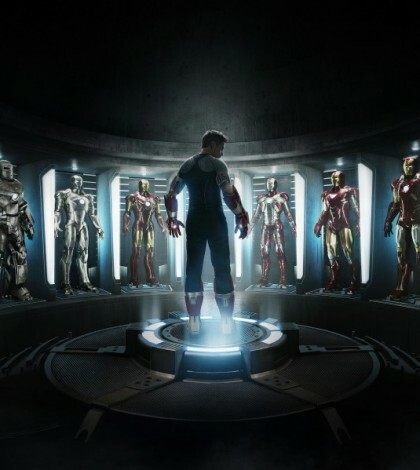 Four films later, if you include The Avengers (2012), Tony is Iron Man, whether he’s wearing the armor or not. But what does that have to do with you and me? In his Ephesians letter, Paul uses the “armor of God” metaphor to say something similar. As human beings we are weak, mortal, frail, self-indulgent, vulnerable to a thousand temptations. We are anything but heroic. Oh, maybe the occasional person has extraordinary courage and strength, but most of us, including me, will never do the stuff we see heroes do, either in the movies or in real life. That is, we won’t do it just of ourselves. Like Tony Stark before he was critically wounded, made a prisoner of the very people his weapons were designed to kill, before he saw his weapons used against the very soldiers he was supposed to protect, before the man who saved his life sacrificed himself so that Tony in his first, improvised suit, could escape his captors and return home to a renewed life and a new mission, we are weak and subject to our own passions. We are like spoiled children. When we encounter God, he gives us something that is designed to change us. He gives us the ability to be heroes of a sort. He gives us the opportunity to be more than who we are…to realize the potential to be everything God designed us to be. The Word of God has been euphemistically called a “sword.” We can defend ourselves from all kinds of harm just by reading and studying the Bible. We can learn to protect others with its power. Like Tony Stark’s fictional armor, we can let God’s armor change us…first from the outside in…and then from the inside out. In this movie, like the Jews in the desert, Iron Man is taken out of his element and stripped down to just his goatee in the middle of nowhere. But in our case, the desert was our cocoon. God gave us the Torah, kept us away from distractions for a 40-year incubation period, and helped us grow before releasing us back into our homeland. The Torah is our armor. And after wearing that for 40 years, the hope is that we’ve internalized it. Tony spent time upgrading his suits, but what he didn’t realize was that he needed to upgrade himself. He has to get a few things, um, ironed out. It’s not his metal that matters. It’s his mettle. We all have within us what it takes to be heroes. We also have an outer shell, but the real question is what we do when it cracks open. 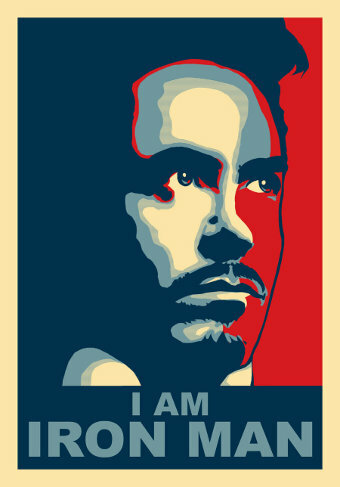 Do we just kind of leak out, or are we Iron Man – unflinching in our values, even in the face of danger? There are different people going to Christian churches today and, for the sake of this blog post, I’m going to say that there are two different types of people. There are those who use the Bible and their faith like armor, like something they wear but also something that can be taken off once they leave church on Sunday…and there are those who wear their armor on the inside, who have integrated the Word, the will, the Spirit of God into their lives. They are Christians regardless of their circumstances. Even stripped down to their bare essentials, even if their churches and their Bibles are taken from them, who they are in God and who God is in them is the same. You can take everything from them but they will always be with God. The armor doesn’t make the man…the armor and the man become the same. This should be my absolute last “meditation” until sometime early next week. And no, I haven’t had a chance to see the IM3 movie yet. You are welcome. Good shabbos.